Have you ever wanted to write up a quick blog post on the go? 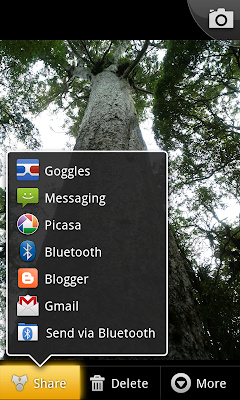 Now there is an easy way to do this on your Android phone! 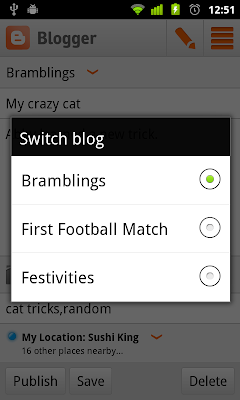 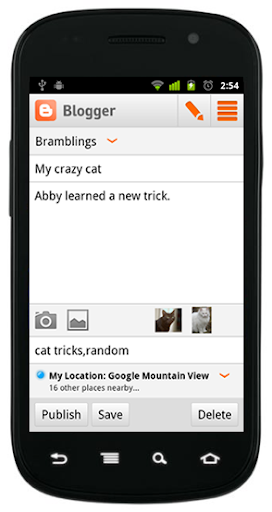 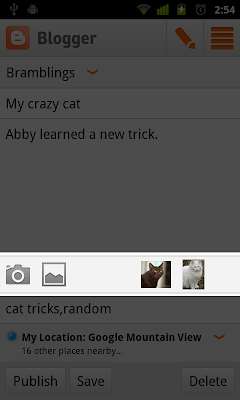 We are excited to announce our first version of the Blogger Android App. 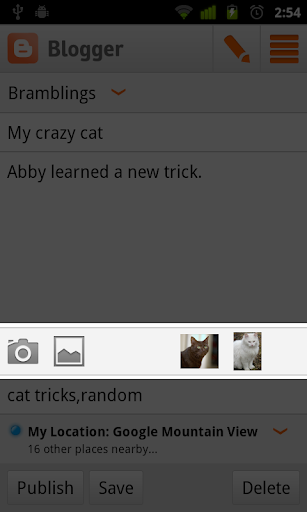 Using the app you can easily compose a post, attach a photo that you just took with your phone, and either save it as a local draft for later or immediately publish it to your blog. 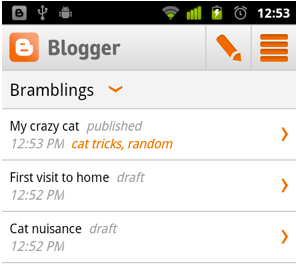 If you are an Android user, you can start using the Blogger app today by downloading it for free from the Android Market.